We provide comprehensive heating solutions across the board, even for swimming pools! We offer a number of different swimming pool heating options in a range of sizes which utilise different energy sources. We are able to offer solar pool heating products as well as more traditional gas pool heaters. We can even install an all round pool heating system with the use of heat pumps. To learn more about the options, and to find out which is best for your needs, come and talk to us. Solar offers a the most cost effective way of heating your swimming pool with a moderate install price and much lower running costs than other systems. Solar will extend your swimming season, though it will not thoroughly heat all year round. As a rule of thumb you will require the area of approximately 70% of you pool surface as solar panels. We also run a seperate pump and controller for better control and lower running costs. 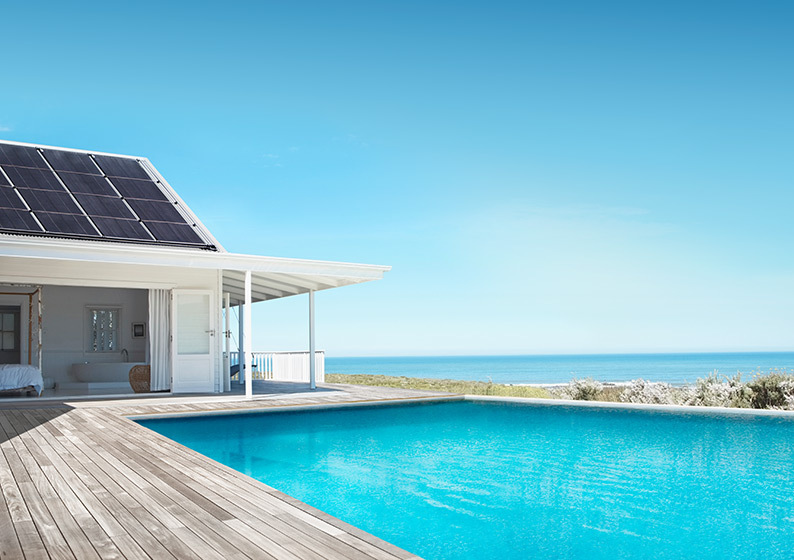 Solar can also be run in conjunction with heat pumps or gas heaters which can offer you the best of both worlds, giving you a complete year round pool heating solution. Heat pumps can offer thorough all-year-round pool heating, but they come with a high install price and moderately high running costs. A gas heater can offer great all-year-round pool heating too. But while gas heaters have a low install price, they also have compareably high running costs.